Hey everyone! I'm sorry if I haven't announced as prompt as you would like, alam niyo naman na nag bagyo lately and I just had not enough time to do much blogging. Anyways, on to the announcement! 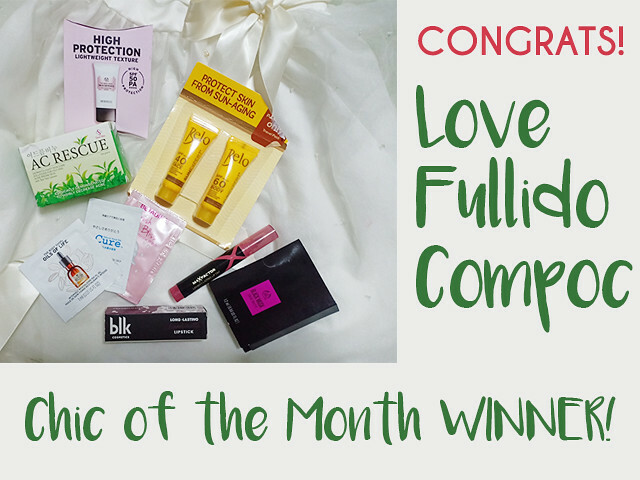 I will be pausing the Chic of the Month Giveaway for a couple of months though, as I have an even bigger giveaway to share with you guys and gals for the next month!